Since it opened in October 2009, almost every aspect of the Supreme Court’s contribution to the administration of justice has been subjected to legal, political and academic scrutiny. Yet one issue which has largely escaped the spotlight is the physical accessibility of the new institution, its processes and the judgments which it produces, which surely forms an important component of the concept of open justice. A good starting point is the court’s official website, which offers a wealth of information likely to be of use – and interest – to all categories of visitor, from tourists to school parties, from journalist to practitioner. For a law reporter, too, the site is a gift – the date, time and location of forthcoming hearings, and the constitution of the judicial panel, are listed for each legal term, so that you have a good chance of arriving in the right court at the right time (not as easy as you might think in certain other courts! ), while the case summaries set out, among other things, the legal points which the court will be considering on each appeal. There are links to ‘direct.gov’ for those interested in learning more about the judicial system as a whole, a downloadable brochure about the court’s role and an interesting, if short, ‘did you know’ section for trivia buffs. So, all in all there is little excuse for the visitor to arrive at the court anything less than fully armed with the information required to get the most out of the visit. The favourable impression created by the website continues from the minute you walk through the doors of the court building itself. The friendly, helpful staff treat all visitors as valued guests, taking time to explain the court’s layout, point out which courts are sitting, and answer all manner of questions. And they are clearly doing something right – according to Customer Service and Education Assistant Simon Joliffe, the court is now averaging about 200 visitors a day. Some have pre-planned their visit, while others walk in off the street on a whim – something which, incidentally, would have been impossible while the highest court in the land was housed in a corridor in the House of Lords. Another interesting feature is the fact that court staff are stationed outside each courtroom, ready to answer questions and encourage visitors to go in and listen to the hearings. This is in contrast to the Royal Courts of Justice on The Strand, where tourists are frequently to be found hovering uncertainly outside the courts, clearly not sure if they are allowed in and, if so, where they should sit and so on. On the day of my most recent visit to the Supreme Court, well over 100 people, from school children to law students and tourists, came in and out of the hearing. Those who stayed for longer than a few minutes would have been treated to what was surely a clear example of open justice in action, as the 7-justice panel were subjecting the arguments of the protagonists – the Secretary of State for the Home Department and a suspected terrorist who had been subjected to a control order – to intense and prolonged scrutiny. Moreover, when the judgment in that case is handed down, it will be available to all on the website, and in hard copy from the court itself. On the day of my visit, two judgments were handed down; and copies were readily and openly available at the reception desk. It is not just the public who are well catered for at the Supreme Court, either – facilities for the media are also fairly impressive. A dedicated ‘media room’ on the second floor comes complete with broadband access, TV, kettles, fridge and (slightly puzzlingly) copious cupboards (though devoid of biscuits). Thanks to the TVs which broadcast events within the courts to those watching from outside, a reporter can get on with other pieces of work whilst keeping an eye on the progress of proceedings, rather than having to type exceedingly quietly, balancing his laptop on his knee from the back of the court, or keep dashing in and out. Little things, perhaps, but they all help. The sum of all the above is an impression that the court is a place to be visited and looked at and its business to be witnessed and discussed as widely as possible. From website to court-room, user-friendliness and accessibility are exuded and to this extent, at least, it seems that the Supreme Court is delivering on its promise to exemplify ‘open justice’, in spades. Alison Pryor is a barrister and law reporter for the All England Reporter service at LexisNexis. She was called to the Bar in 2008, and has a particular interest in criminal and public law. 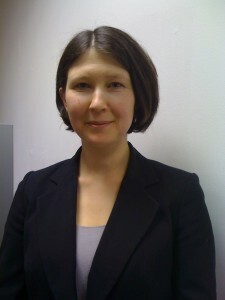 Alison Pryor is a barrister and law reporter for the All England Reporter service at LexisNexis. She was called to the Bar in 2008, and has a particular interest in criminal and public lawAlison Pryor is a barrister and law reporter for the All England Reporter service at LexisNexis. She was called to the Bar in 2008, and has a particular interest in criminal and public law.Alison Pryor is a barrister and law reporter for the All England Reporter service at LexisNexis. She was called to the Bar in 2008, and has a particular interest in criminal and public law..
Leave a reply on "Open Justice and the Supreme Court"